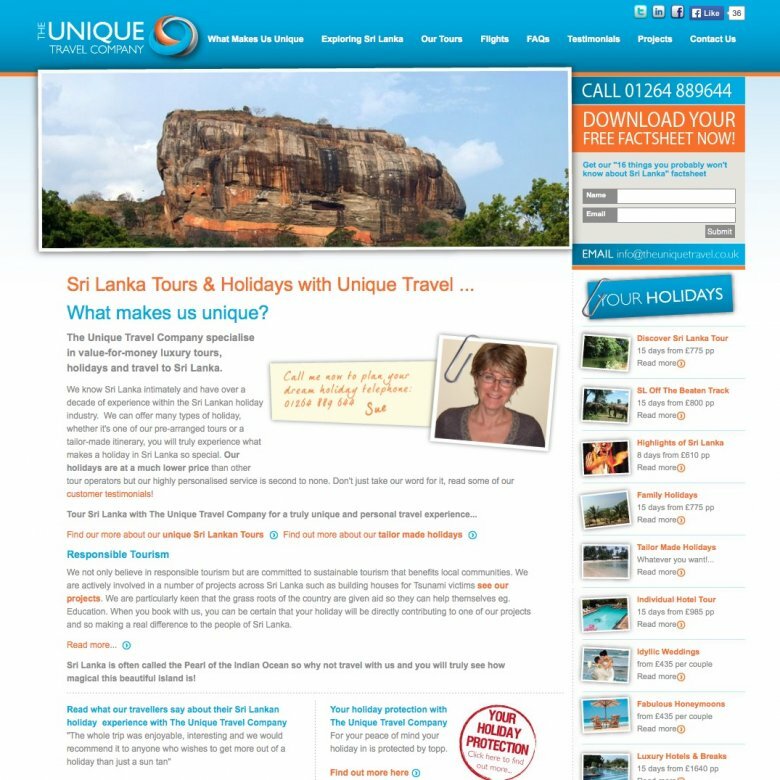 We have designed a new tour website for The Unique Travel Company, specialists in tours to Sri Lanka. The new website is built on our easy-to-use tour management system and features a modern design with friendly aesthetics. The old site had a few issues we have endeavoured to fix. The main issue was the potentially confusing structure of the site. There was a lot of information available, scattered across a lot of pages. We have re-arranged this content in to a simplified structure and considered the journey users will take to access this information. The most important information is about the tours themselves. We have added 'signposts' to key information like these tours through the strategic use of 'call-to-action' buttons. These buttons encourage the user to find information that is both relevant to them, and increases the likelihood of someone buying a tour. For example, Tailor-made tours are very popular and contribute a large percentage to the total number of sales. 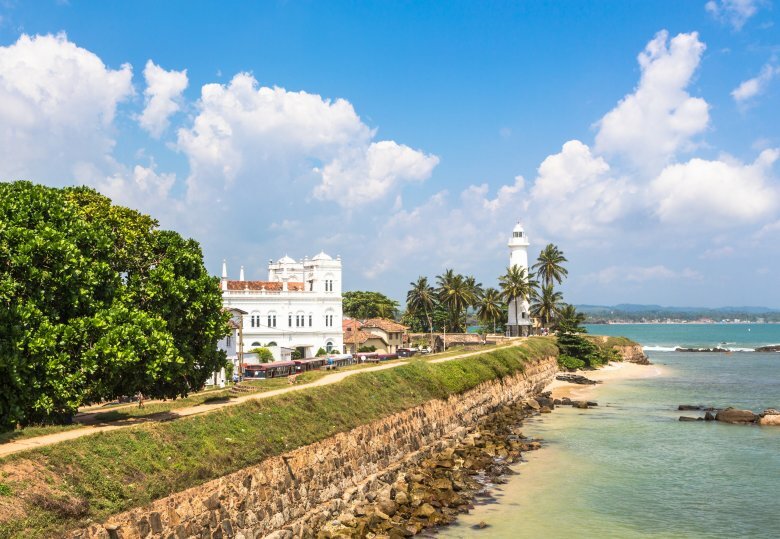 We have included prominent links to the tailor-made tours throughout the site, without making the links seem out-of-place. 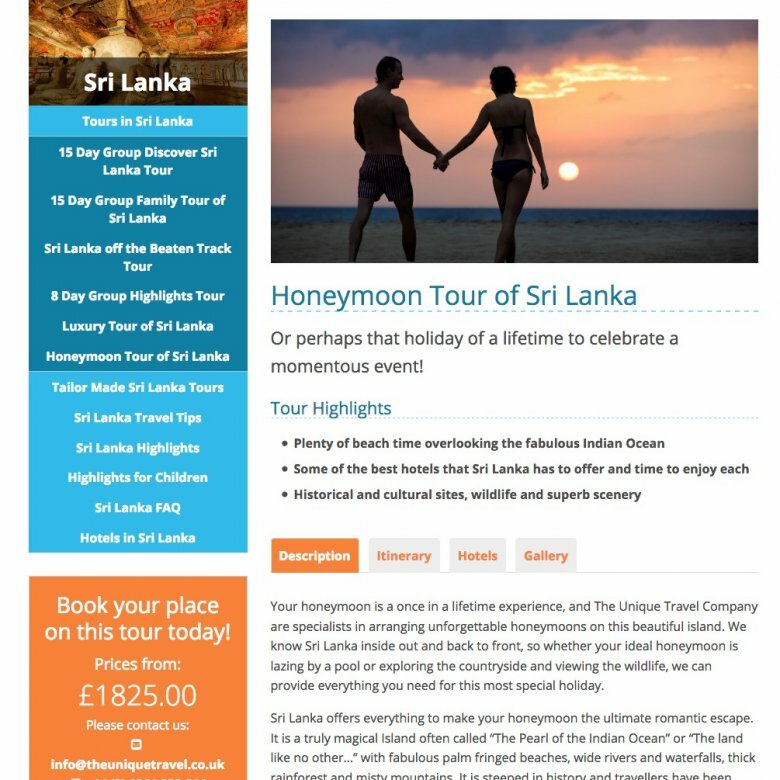 The tour website design features a modern but friendly style that uses large images to show off the tours and Sri Lankan culture. The design has been developed to be as clear and tidy as possible, with clean typography and bright colours. The website has been built upon our easy-to-use tour management system, which allows the site owner to quickly update and manage content themselves. This bespoke system is highly customised and takes strides to make it as simple as possible to manage. The system automatically formats each tour ensuring a clean and consistent structure. In addition to this, we have included the ability to list hotels, each of which can be assigned to specific tours. This means that the site owner only needs to update a hotel once and the information will be copied to every tour using that hotel. To increase visitor trust in the company, with an up-to-date and professional looking site and more prominence for the testimonials. To increase the number of visitors to the site. A thorough optimisation of the website content and careful planning of the site structure and coding will improve their ranking in Google. To improve visitor engagement. By making the site easier to navigate, making key information easier to find and adding clear calls to action we have will increase the number of visitors who will book a tour. 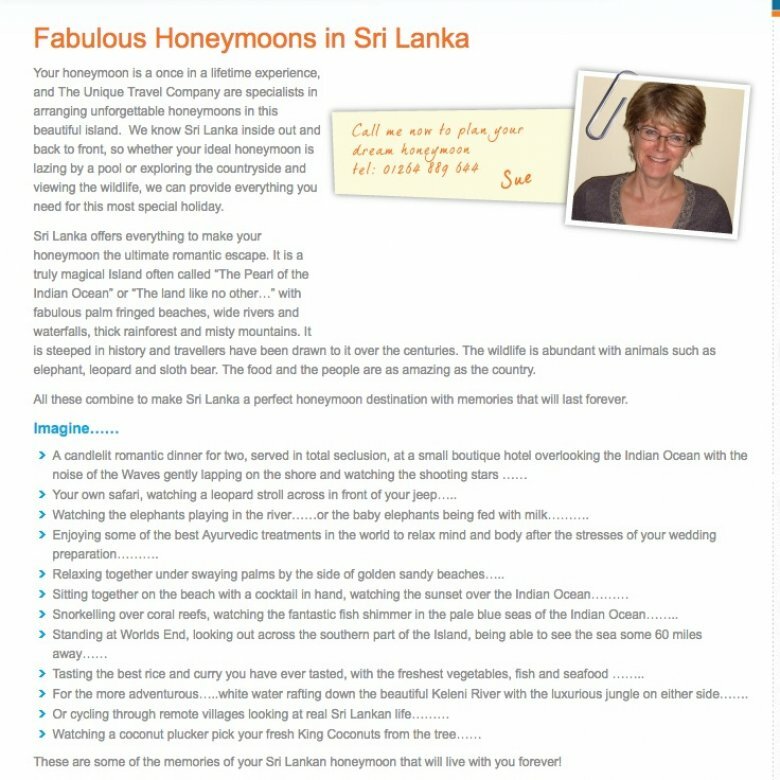 To find out more about how to create a tour website that will sell more tours read our article on the traits of a good travel website article. 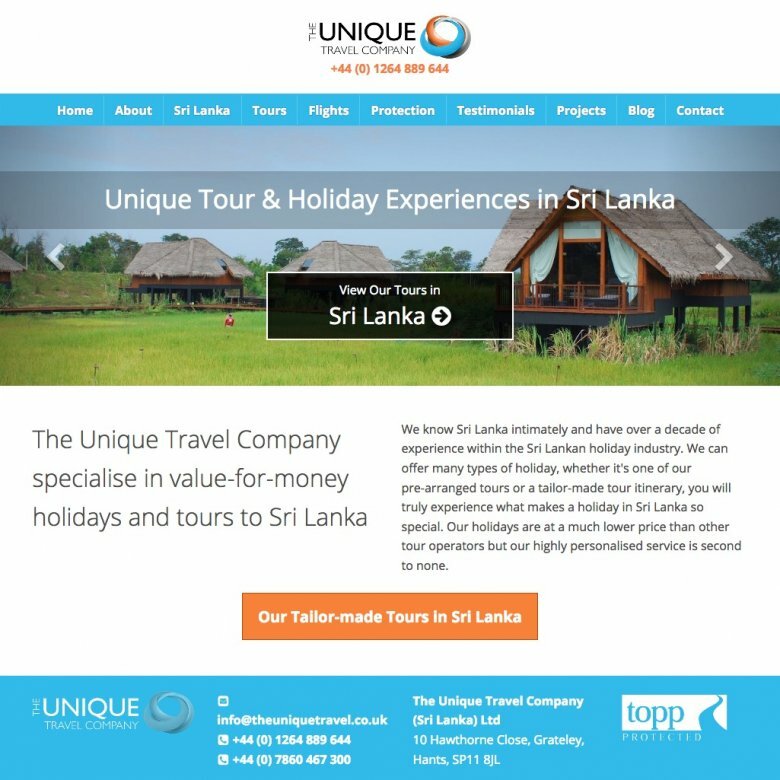 If you are interested in a new design for your travel or tour website, or you'd like to hear more about our new tour management system, then contact The Travel Web Design Agency today.